This 50 acre, former dairy farm awaits a new owner to steward the property into the future. Possibilities abound for a working farm, equine property, or possible subdivision. 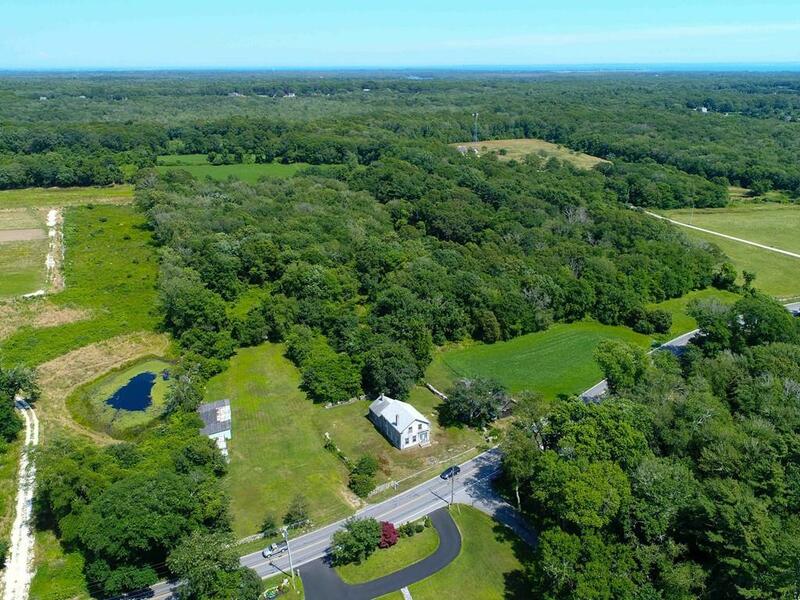 Across the street from the East Branch of the Westport River the land is set amongst the rolling fields of surrounding farms and offers close access to area beaches and amenities. This non-subdivided property consists of approximately 18 acres of open fields (mostly USDA Prime Farmland Soils) currently used as hayfields. Additional clearing could increase tillable area. Of the current 30+/- acres of woods approximately 15 acres is wetland. Also included is a solid, highly restorable Greek Revival farmhouse, with original features intact, on an additional 2 acres. Several outbuildings complete the bucolic setting. Seller is in process of conducting perc tests in rear fields to determine possibilities for subdivision but would prefer to see the property returned to working farm status. Bring your ideas and vision! Listing courtesy of On Point Realty Group of William Raveis. Listing provided courtesy of On Point Realty Group of William Raveis.